Producer: Sanjay Leela Bhansali and SPE Films India Pvt. Ltd.
Alright I’ll admit, Saawariya was, hands down, my most anticipated soundtrack of not just this year – but probably the last couple of years. Why? Not only because it is backed by a man who expects nothing less than 200% from his entire crew; but also because it marks the debut of MD Monty Sharma, nephew of Late MD Pyarelal (of Laxmikant-Pyarelal) – a man who has proven himself quite honorably in the background scores of SLB’s previous three films (Hum Dil De Chuke Sanam, Devdas, Black). It seems as if Monty’s brilliant chemistry and rewarding journey with story-teller and director Sanjay Leela Bhansali have been leading up to this very day, when Monty is set to finally break free of the cinematic backdrops and transform his music into song – Songs that have been portrayed by SLB in the past with great majesty, grace, splendor, and ethereal beauty. Many have speculated as to why Monty had created a solo song for the film Black, a song that won praise, yet was incapable of winning a coveted spot in the classic film. The piece in question is Haan Maine Chu Kar Dekha Hai, arranged flawlessly by Monty, rendered equally well by Gayatri Iyer, and written with parallel perfection by Prasoon Joshi. Perhaps it was merely a game of tease. 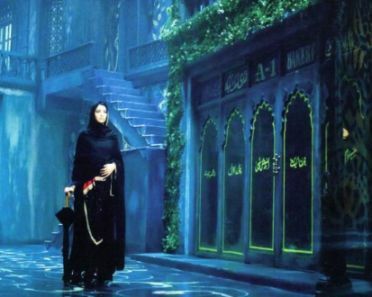 Or maybe a brief foreshadow of what we are to experience in the soundtrack of Saawariya. Whatever its purpose, it was beautiful – and I can only believe that the ornamented curtain that has set on the music of Saawariya will graciously lift to reveal an auditory array of magic, as tonight…we experience the sounds of Saawariya. Monty introduces the album to us with the very shot, sweet, and fun title track Saawariya. This is a type of track we haven’t heard from the SLB-Ismail hook-up the past 8 years. In fact, this is a very acoustic piece, in which Monty pours a lot of guitar riffs in the rhythm. It works well with the lyrical theme provided by Sameer, which he conveys through some very ordinary writing. The one who stands-out however is the new vocalist – Shail Hada. A bit reminiscent of Abhijeet when he was in his prime, Shail’s fresh and smooth vocals glide over the acoustic sounds effortlessly. Much attention will be given throughout the album to Monty’s melody, since this is where he treads new ground above the background scores. Saawariya’s melody, although nothing fantastic, is flavorful and enjoyable. Verdict: This 2:50 song is a quick n’ breezy opener that commences an SLB album on an unusually light note. Jab Se Tere Naina is the perfect example of a wonderful idea gone wrong. Monty starts this romantic piece on a fairly promising note with the usage of a low-octave play of the sitar (rarely heard). However, after Shaan introduces us to Monty’s melody, a very clunky and awkward stream of arrangements make their way into the composition. Monty prepares us for a light-hearted romantic piece, yet midway through the soft melody we hear a sudden crescendo, as heavy and loud northern influences are brought in via the usage of dholaks. It’s a very clumsy set-up indeed, as this set of arrangements is heard sporadically throughout the piece. Melodically, Monty gives us nothing to treasure. Sameer’s lyrics once again do not fail to hide behind the curtain, as his words are not able to raise this track from mediocrity. Verdict: Ismail Darbar is sorely missed here. Masha-Allah is another mix of good and bad by Monty. First the good – The title line of “Masha-Allah” has an extraordinary effect on the listener. Kunal Ganjawala’s fragile rendition of a petite, yet gorgeous, melody is romantically divine. Combine that with mysteriously stunning “Allah” refrains in the background by veteran Shreya Ghoshal, who serves as the muse of this piece, create an inspirational environment. You can hardly go wrong when you ask Shreya Ghoshal to render a track. Also, Sanjay Leela Bhansali (yes, the man himself) takes the baton away from Monty, as he surprises all by serving as a guest composer for Thode Badmash. This piece is like a wonderful hangover from Devdas’ soundtrack! The eastern orchestration and evocative raga pave a rhythmic journey through which Shreya moves with grace and ease. SLB impressively lets loose and we’re filled with all sorts of eastern percussion that tingle your senses. The melody seems like a hybrid belonging to both the Thumri and Mujra genres of Indian Classical Music. All technicalities aside, Shreya and SLB hook-up to bring us some great music with true Indian influences. Nusrat Badr’s lyrics (he penned some stellar lyrics for Devdas) are extremely simple, yet get their point across. Once again, his performance is not quite as illustrious as the other two members of this song but he does manage to add to the quality of the track. Again Monty introduces us to yet another cross-genre piece in Yoon Shabnami. The track contains much of the same instrumentation and percussion that was heard in the previous tracks. However, it is the introduction of a qawwali in the stanza that gets your attention. Rendered nicely by Parthiv Gohil, the piece gets many brownie points for being creative. Monty even adds a very non-eastern element – the violin – to play alongside the sitar – an instrumental duet mixing east and west that is not often heard in Film Music. Sandeep Nath’s lyrics improve upon Sameer’s as he writes on one of the most favorite subjects of today’s Film Music: the metaphoric beauty of the moon. Verdict: Creativity looms large in this piece that ends up being an above-average experience. Monty returns to his majestic ways in a very well constructed thematic piece, Daras Bina Nahin Chain. With Richa Sharma at her very best, Monty sculpts a piece of grandeur with a complete array of eastern instrumental elements, his signature female chorus, and a golden touch of vocal support from both Parthiv Gohil and Shail Hada. Once again, there is an inescapable influence of Monty’s work in Devdas’ Background Score. This however, takes nothing away from the splendor and simplicity of this very rich piece. Shreya Ghoshal is simply divine in Sawar Gayi, a track that oozes all over you. Lit with the heavenly vocals of Shreya amidst the drips of water and the deep rumble of Mother Nature - it puts you in the perfect mood for the rest of the song. Monty’s steady hand over the constant arrangements meddled with a classy melody are what bring substance and quality to the song. Shreya’s accolade-worthy performance puts it over the top. Verdict: The flow of richness rides steadily underneath this metaphorically dampened composition – well worth your time and attention. Kunal Ganjawala and Monty hook-up for a second time in Jaan-E-Jaan. After listening to the first half minute – a duration filled with sharp orchestration and a crescendo of oboe and strings – you are about to believe that Monty will return to his strength and create a very powerfully orchestrated piece reminiscent of his work in BLACK. Alas, we are terribly misled as Monty creates a tune similar to stuff we’ve all heard in the mid 90s by out-dated composers like Nikhil-Vinay, Nadeem-Shravan, Anand-Milind etc. The arrangements are what move this piece out of the ordinary. Unfortunately, the very loud vocals and arrangements, entwined with a non-engaging melody, make for an undeserving track. Brownie points are given to Monty for the effort, but the execution is lacking. Even Shreya Ghoshal (who is actually featured alongside Kunal this time) is incapable of lifting this piece to any great heights. Lyrics are standard. Verdict: Skip it. Pari is in line next, and conveys yet another weak melody by Monty. I don’t have any complaints with the arrangements per se, although they definitely could have been much more creative and captivating. Ok so this is another swing and a miss for Kunal Ganjawala. Maybe it’s just me, but It doesn’t seem like his vocals blend with the semi-classical/semi-orchestral arrangements of Monty. Verdict: A very mediocre composition pulled down by a dragging melody and non-evocative renditions. As if out of nowhere, Alka Yagnik sweeps us off our feet in a very fresh track by Monty – Chhabeela. The piece provides a redemption for the poor melodies we’ve been hearing in some of Saawariya’s soundtrack. In addition, Alka Yagnik is in her element after a short hiatus. Monty deserves a lot of credit for composing an eventful song that brings a bit of diversity to Saawariya’s soundtrack. My only criticism would be for Monty to ease p on the heavy dhols, which are heard throughout. These dhols have been playing non-stop it seems in most of the tracks and sometimes a better percussion/drum is more suitable for the melody. Other than that, Chhabeela is a track that should be well-enjoyed on screen and off. And we close with one of my favorite tracks – the Saawariya Reprise. This is the same track Monty opened with but It has been nicely redone here. First off, Shail Hada is absolutely exquisite in his performance, as Monty lets him run free in the vocal grounds. The arrangements are much of the same, very acoustic and very lively – Monty has added in some crowd cheers sporadically throughout which I’m sure serve situational value. It’s quite odd to listen to the title tracks after listening to the rest of the album because it’s then when you realize how different they are – the theme of the track, the instrumentation, the genre, the vocals, the textures – it’s all so different from the other songs. Kudos to Shail Hada and Monty for brining Saawariya alive and ending this soundtrack on a fairly high note. Quick Summary: The majority of Saawariya’s soundtracks contain repeat value and are very welcomed. My favorites would have to be Saawariya, Saawariya Reprise, and Sawar Gayi. However, the three tracks by Kunal Ganjawala (Masha-Allah, Jaane-e-Jaan, and Pari) and the solo by Shaan (Jab Se Tere Naina) stick out like sore thumbs - Their utter lack of melody and unappealing arrangements are the perfect foil to the rest of the album. Special Mention: Much credit needs to be given to both Shreya Ghoshal and Shail Hada who are truly brilliant in their renditions. Shail Hada should have a fantastic career ahead of him if he continues singing the way he has for Saawariya. Nonetheless, we sorely miss the presence of Kavita Krishnamurty – who is amongst the best vocalists for this particular genre and style of song. OK, so the million dollar question…were expectations met? For me they were absolutely not. More than ½ of the album was sub-standard and it is certainly not up to par with SLB’s previous soundtracks, which were done by Ismail Darbar (Hum Dil De Chuke Sanam and Devdas). I take nothing away from Monty, as his skills and abilities are clearly evident in many of the tracks. However, it is arguably obvious that his forte lies in creating background scores.